2.7.1, the first 2.7 maintenance release, is now available. 2.7.1 fixes 68 tickets. You can automatically upgrade from 2.7 to 2.7.1 via the Tools->Upgrade menu, or you can download the package and upgrade manually. Consult the list of fixed tickets and the full set of changes between 2.7 and 2.7.1 for details. I was going to highlight some of the changes here, but really there aren’t any major things worth pointing out. And as Martha Stewart would say, “That’s a Good Thing!” The fact that the bugfixes are all so minor simply reflects the overall quality of the initial 2.7 release. Good job, dev team! If you’re curious enough, you can view the list of closed tickets for WP 2.7.1. 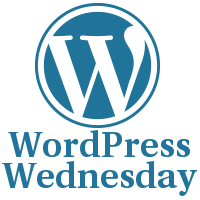 This entry was posted in WordPress and tagged bugfixes, Releases, WordPress, wp27. Bookmark the permalink. So far so good… I am really like the new release… Its stable… I have been testing Windows 7 for about 1 month now and had a problem with WordPress in IE8, but in Firefox it runs great… With the new Control Panel and its new features, I can’t imagine WP getting much better. A few small tweaks could be made though. On the Quick Press section, add the feature to choose categories.. That would be nice. I have been using wordpress for a while now, and I run it under a free domain. However, I can’t seem to upgrade my wordpress even when I click automatic update thus I have to do it manually. Every time I click on automatic update, it just brings me to a white screen after a while and does nothing after that. And when I check back on my admin account in that blog, nothing happened. It didn’t even update. I’m a bit of a newbie when it comes to this, so can anyone tell me what I could possibly be doing wrong? I’m using 000webhost.com by the way. Some web hosts lock down PHP in ways that could prevent the automatic upgrade from working. I’m surprised that you didn’t at least get some sort of friendly error message from WordPress. A “white screen of death” sometimes means that something has gone wrong at a low level (not in the WordPress code, per se, but a crash in PHP itself). It’s not something I could help you with, or even tell you specifically what to look for. But your best starting point is probably going to be to examine the web server error log, immediately after triggering that error. It might reveal clues as to what is triggering the failure. I’m loving this automatic upgrade. It’s sooooo damn easy! Even easier than the plugin. Good stuff!!! the automatic upgrade worked wery well. Never been so smooth and easy like this. Everything is looking good so far. Smooth transition! This update interrupts the K2 theme, upsetting the alignment and causing page backgrounds and header to repeat erratically. I’ve downgraded back to 2.7 in the meantime. I’ve got a site running a *really old* version of K2 under 2.7.1, and it looks fine. Could it maybe be a plugin that’s actually causing the breakage? That might not be the case, but you might want to try narrowing it down, if you can set up a separate WP+K2 installation for testing. Unfortunately the new built-in automatic upgrade is currently two steps back in progress over the plug-in. The former at least automatically directed people to backup their database and files. The built-in replacement now seems to depend on people to click through links and follow manual instructions. In other words: FAIL. This is going to be a real sore point until this gets addressed. As Dougal said there are some hosts that have server settings that block the automatic upgrade script. I have found it easier to do a manual upgrade than to try to find out why. I love and hate when WordPress releases new versions. I love it because it adds more features. I hate it because I have to install it. and the banner is still at the top telling me the new version is out and it is time to update. Its not a huge problem but is kind of annoying, just wondered if anyone else had encountered it or knew of a way to remedy it. I got a plugin named ‘Disable WordPress Core Update’ which got rid of it, but on the downside obviously prevents it from informing me when the next update comes out. I’ll just have to turn it off every now and then, or just keep upto speed on the wordpress site. Yeah, I saw it had been released. I was going to update my copy (my plan after moving from WordPress in 2.7 to keep it around until a security issue came about), but then came something I forgot about: just how hard it is to install a new version. I mean, it usually works eventually, but takes way too many failed attempts. So, I just decided to take it down today. BTW, I got the same message as JayD with 2.7. Tha automatic upgrade worked perfectly. I’m very impressed! I absolutely love wordpress, it’s so smooth, especially with the automated upgrade, just 1 click and it’s done, no glitches, no errors noticed whatsoever ! After reading your post and comments, I decided to upgrade my WordPress site to 2.7.1. I was scared to lose some data but the automatic upgrade worked like a charm. I have now a nice upgraded blogging platform. Thanks to you. Yeah there doesn’t seem to be to much difference with the new update, I’ll stick with the 2.7 version for my music site/blog until there it some new major features fro the Dev team. Since we upgraded to 2.7 and now to 2.7.1 I have been unable to display images. Something is broken. The box that used to come up: “Insert in Post” just never appears, and so while the images are uploaded, i can’t get them to display. Totally frustrating. Any advice from anyone?